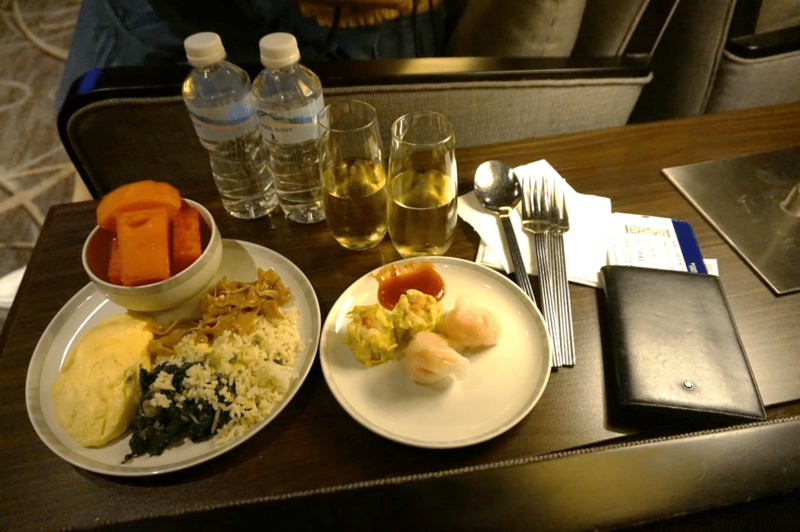 Singapore Airlines' new regional business class is overkill for a three hour flight...but in a good way. 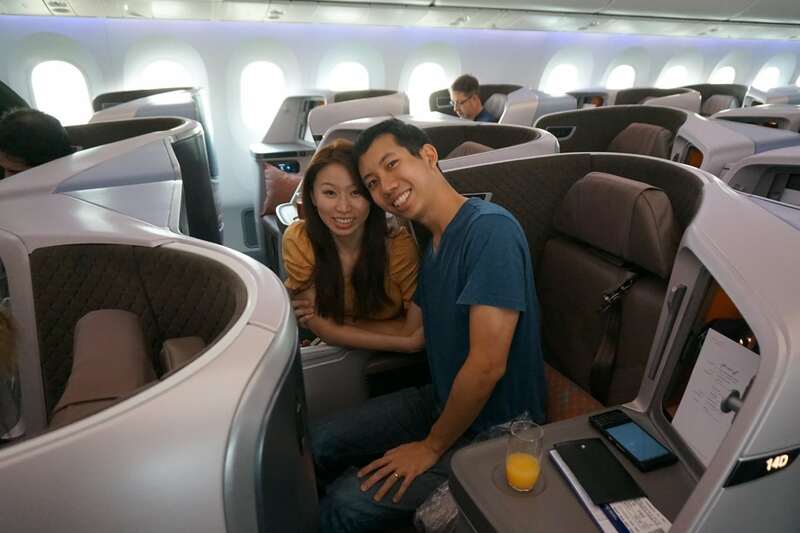 Do you remember your very first business class trip? 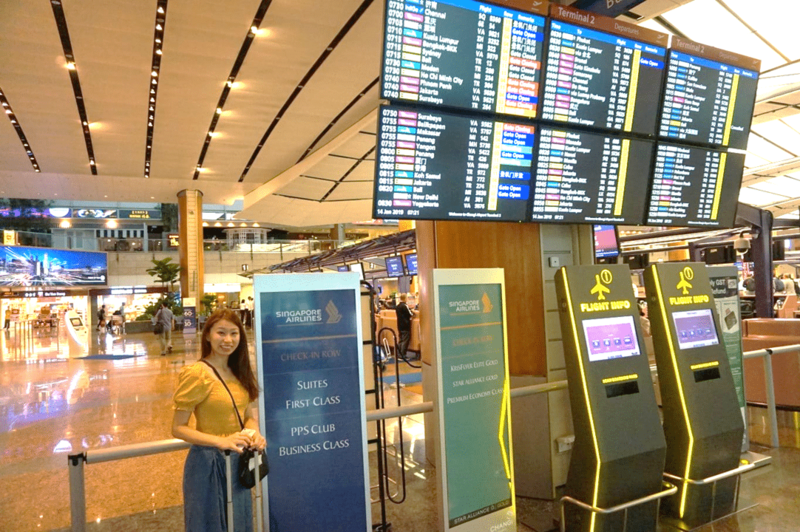 The giddy thrill of not queuing during check-in, the exclusive privilege waltzing into the lounge, the surreal experience of turning left when walking down the aerobridge…and that’s all before you’ve even boarded the aircraft. The Mileymoon had begun, and with it the Milelioness’ first business class experience. Although it was only a short-haul flight to Bali, I was determined that she get her money’s (or rather, miles) worth. We arrived at the airport just before 8 a.m for a 9.20 a.m departure. 24 hours ago, we were at the Grand Hyatt, all flustered with preparations for the wedding banquet. Fortunately, our banquet was a lunch, which gave us a bit more time to relax and unwind after everything was done. Still, a 9.20 a.m departure meant a 6.30 a.m reveille, quite a feat after a weekend full of nuptials. 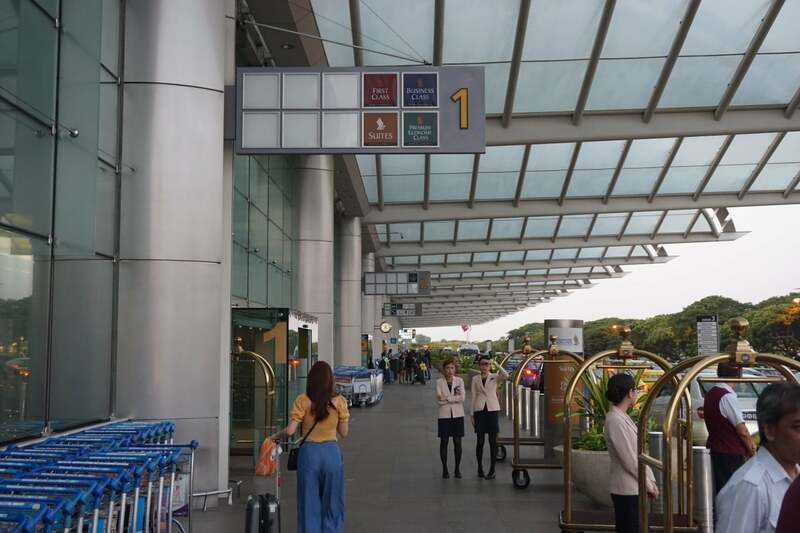 The first small thrill of business class is getting to stop at Door 1 of Terminal 2. Yes, it’s not a private driveway the likes of which you’ll find for First Class passengers departing Terminal 3, but we have to start small, right? The second is having your own exclusive check-in area, with nary a queue in sight. You see your bags getting those special “priority” tags and hold a colored boarding pass for the first time in your life (well, unless you remember the time that SQ used to issue green boarding passes for economy). The third is getting to visit the lounge, which unfortunately would not be a highlight of this particular trip. The SilverKris Lounge in T2 is tired and desperately in need of an upgrade, and with SQ still stalling on providing further details on renovation, one shouldn’t expect this to change in the near future. 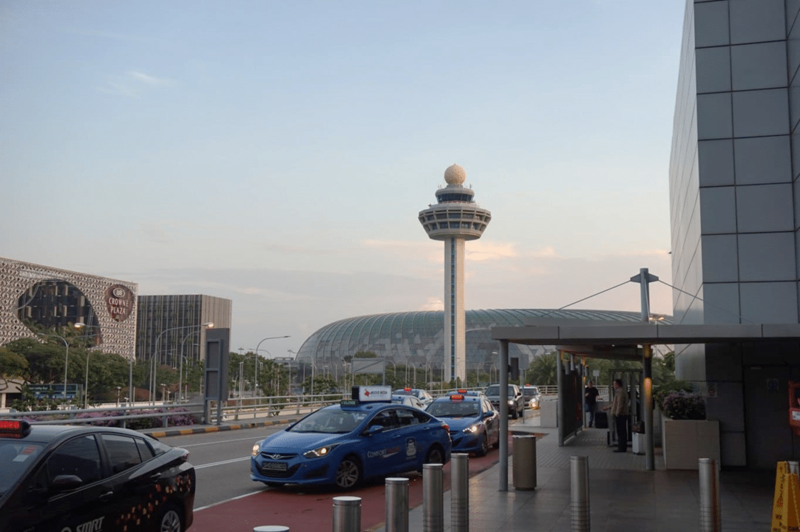 The fourth is getting to board the aircraft before everyone else does, which duly happened at Gate D41, which has to be the most confusing gate in the whole of Changi. 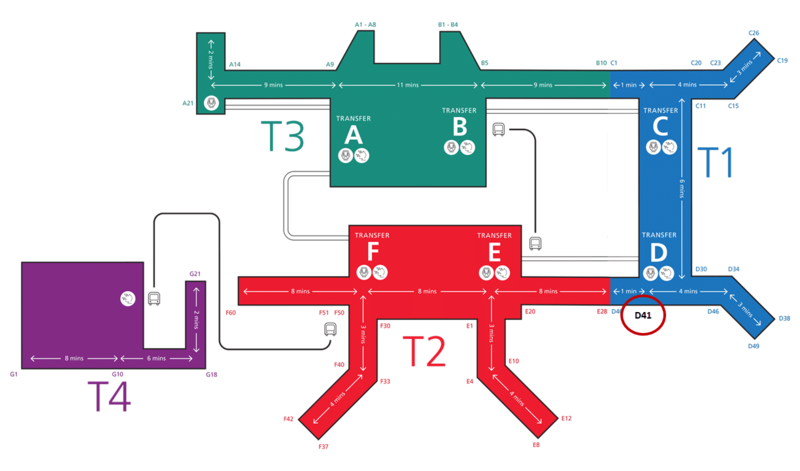 It’s physically located in Terminal 1, yet serves Terminal 2 arrivals and departures. Although I’ve toured the B787-10 on the ground, I’ve never actually had the chance to fly it yet. 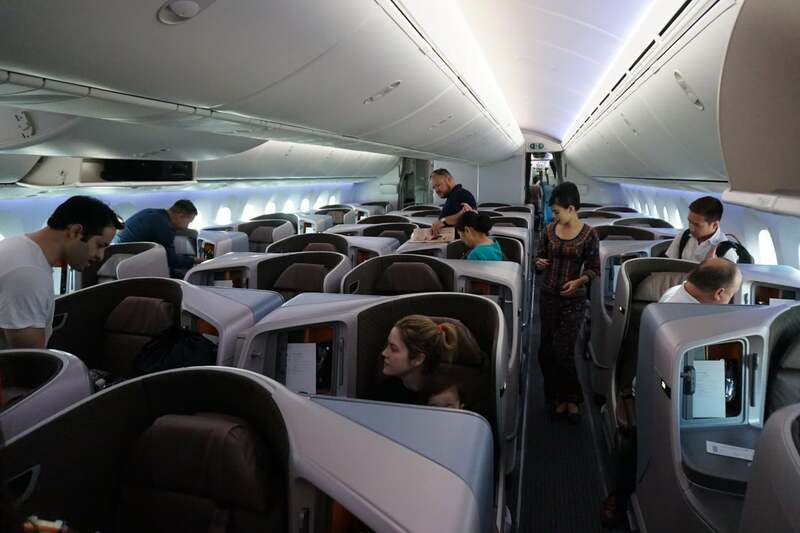 The B787-10 (and the new regional business class) was meant to serve flights between 4-7 hours in duration, but you’ll also find it on short-haul routes like DPS and BKK to increase utilization in between its medium-haul voyages. 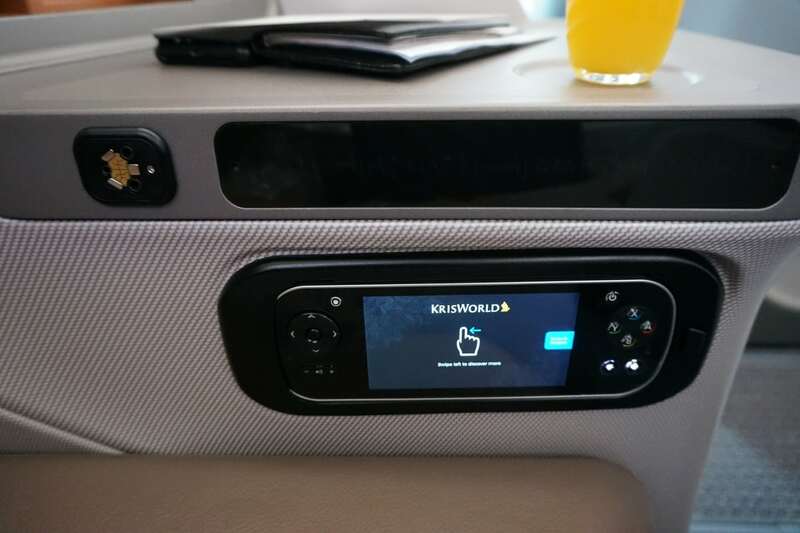 The new regional business class is a quantum leap over the old, maligned 2009 version. The seats, which use Stelia Aerospace’s Solstys III platform as a base, go full flat at 180 degrees with none of this “angled flat” nonsense. Each seat has direct aisle access in a 1-2-1 configuration and the privacy afforded to each passenger is greatly improved. If you’re flying solo, you’re going to want one of A/K window seats. 11A/K, 14A/K, 16A/K, 18A/K and 20A/K are closer to the aisle and relatively less private. Also, be advised that 16A/K have no window. 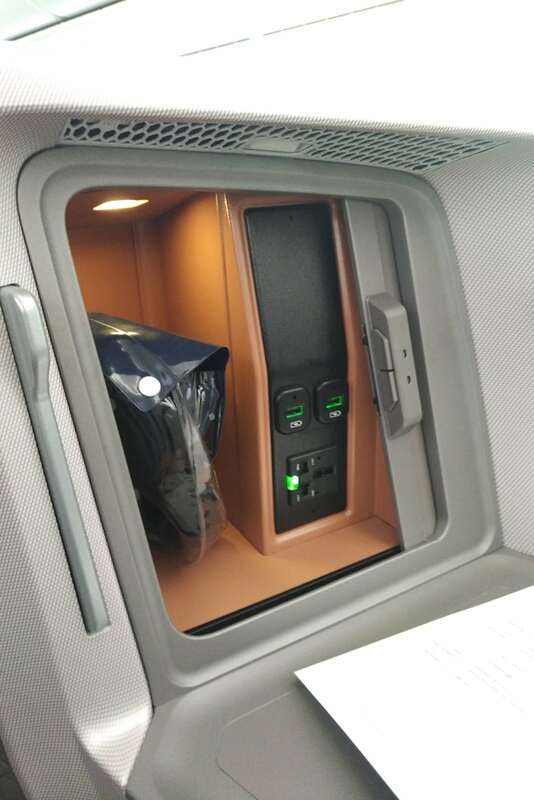 While 12A/K, 15A/K, 17A/K, and 19A/K are separated from the aisle by the side table, providing greater privacy. If you’re traveling alone and the A/K seats are already selected, look for centre seats in rows 12, 15, 17 and 19 which feature the “divorce” configuration. These feature the side tables on the inside, physically separating you from your neighbour. But if you’re traveling with a companion, then you want centre seats in rows 11, 14, 16, 18 and 20 which are in the “honeymoon” configuration. The design of the seat still makes conversation difficult, thanks to the wings that wrap around your head, but at least you’re still able to hold hands and do other things that make single people uncomfortable. On to seat features- there’s a series of touch-sensitive buttons on your side table which illuminate when touched. 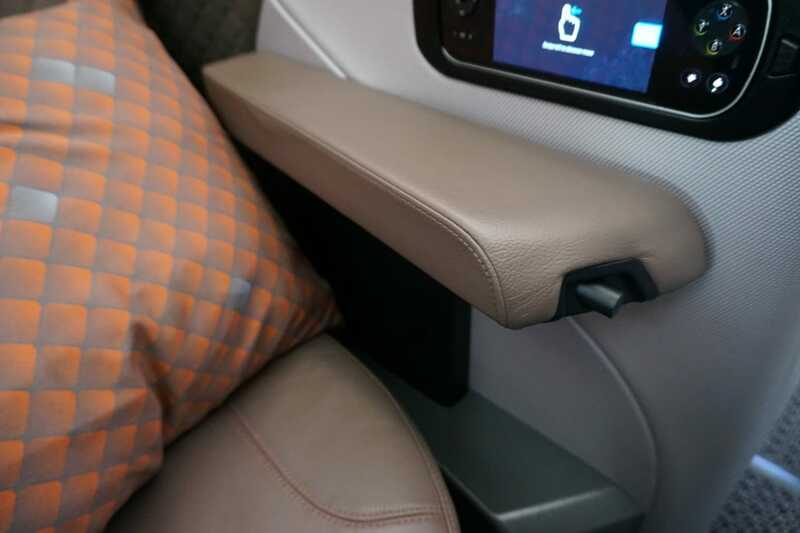 Thankfully, unlike the touch sensitive buttons on the new A380 which require an inordinate amount of strength to push, these are very responsive and positioned at a height that make you unlikely to brush them accidentally when sleeping. A sliding compartment on the side table provides storage space for your small devices and headphones, a pair of USB charging ports and an EmPower outlet. This needs to be closed for TTL. There’s also a concealed mirror that slides out on the passenger side. 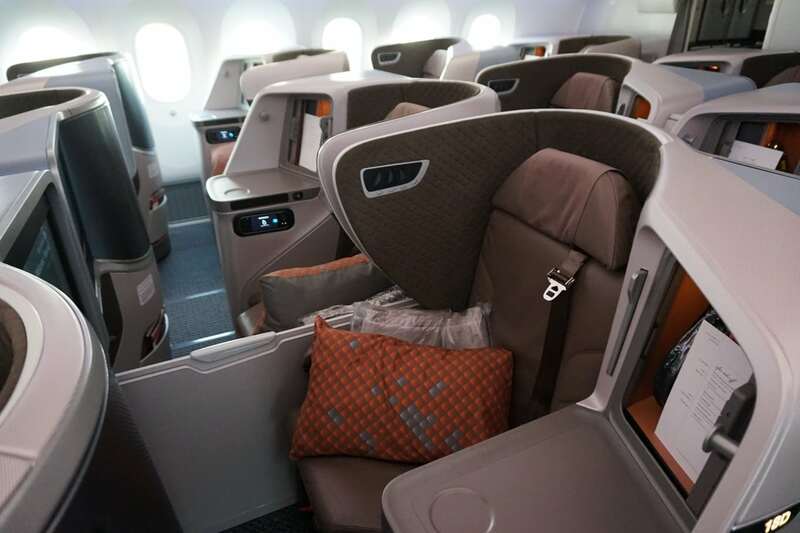 I am a fan of the overall design of the new regional business class seat, with its copper tones and muted leather. It’s little things like the subtle stitched finishing around the reading light which make it that much more elegant. That said, a major complaint about the new regional business class seat is that it’s too narrow- and I can see why. When the armrests are up, you have 20 inches of width, a far cry from the 30+ inches you get on the A380s. 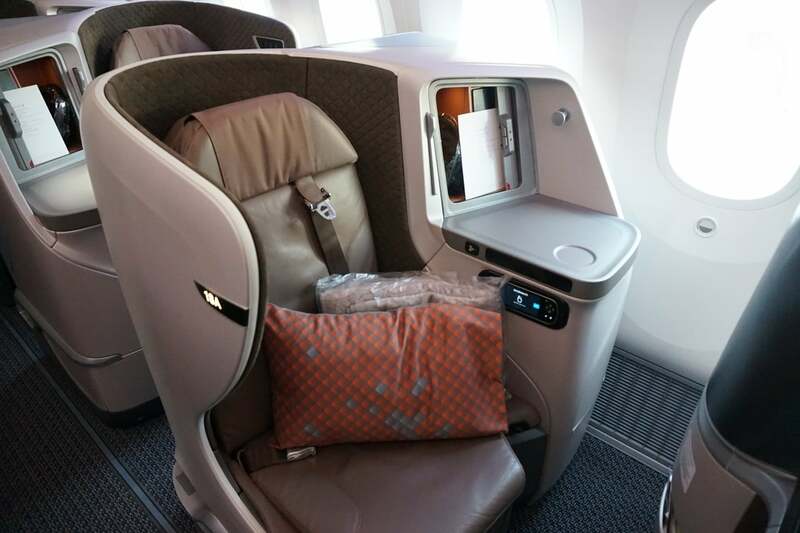 For perspective, SQ’s premium economy seats offer 19 inches of width! Lowering the armrest gives you a much more respectable 26 inches, and I imagine that more portly flyers will want to do that as soon as they can. If you’ve got a large build, you might find your arms bumping into the curved shell of the seat, far from ideal. 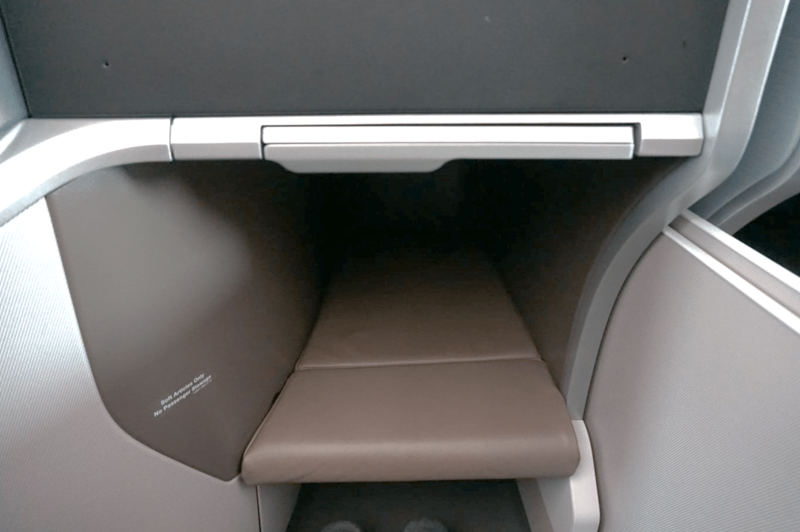 On the bright side, the seats are forward facing which means you do not need to sleep at an angle, a common bugbear of the 2006/2013/2017 J products. There’s also no need to flip the seat to get it into bed mode- you just recline it all the way. The footwell does narrow towards the front, but I didn’t find it an issue. 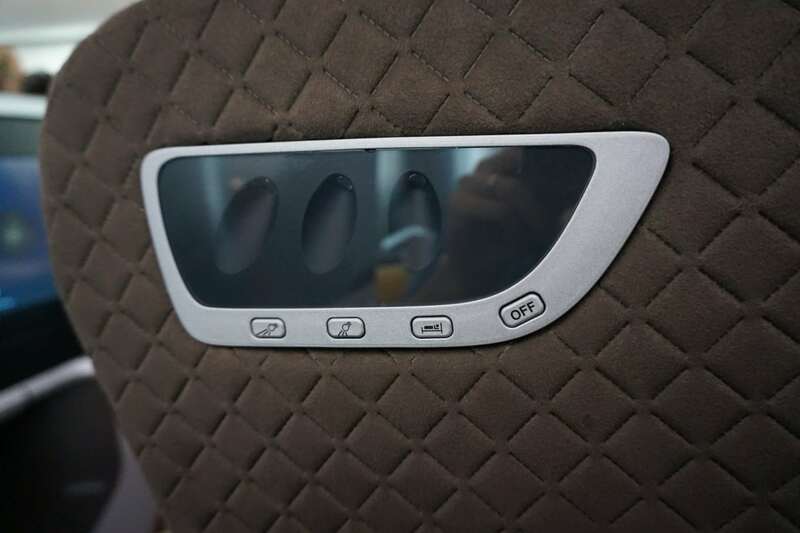 Directly in front of you is the 18 inch HD IFE screen which is touch-sensitive. The gap between the screen and your seat means it’s probably easier to use the IFE remote, however. 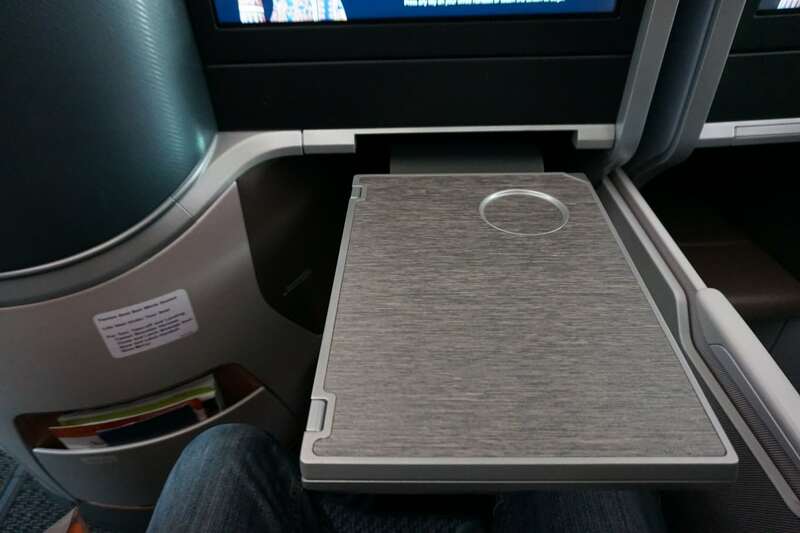 A solid tray table extends from beneath the IFE screen. 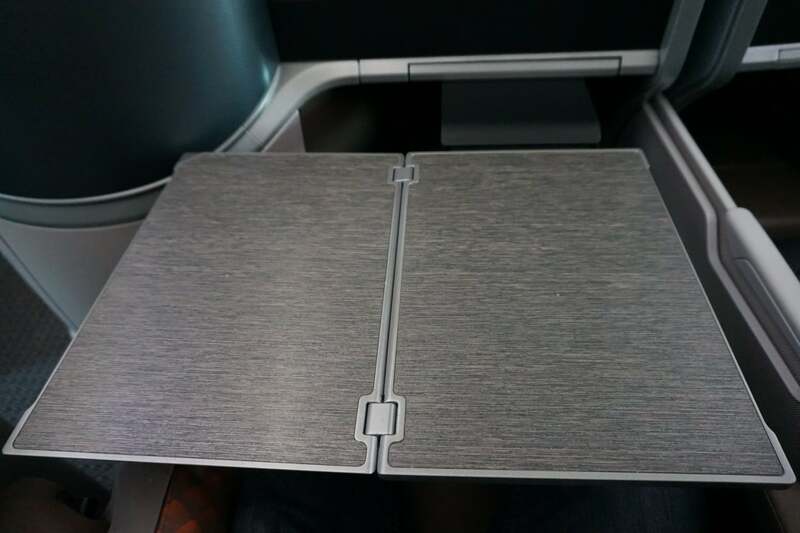 It’s a bit of a missed trick that the designers didn’t think of a way to allow passengers to exit the seat without retracting the tray, something I consider to be the gold standard for business class seats. This is particularly crucial if you want to use the loo during mealtimes. The captain then came on the PA to announce a flight time of roughly 2h 45 min while I examined the in-flight menu. 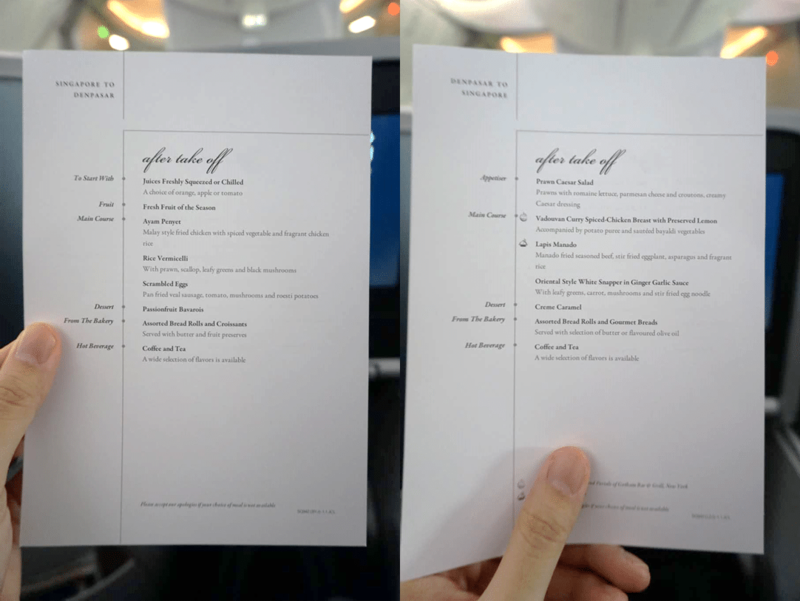 I don’t know if this is a new SOP or something, but on this flight the menu consisted of a single piece of double-sided paper; one side for the outbound flight, one side for the inbound. If this is indeed the new offering for menus on short-haul premium flights, I have to say it’s disappointing. Yes, I know it saves weight and therefore fuel and therefore gaia/money/polar bears, but a flimsy piece of paper rather detracts from the whole premium cabin experience. We had a short taxi and the flight crew made final preparations for takeoff. 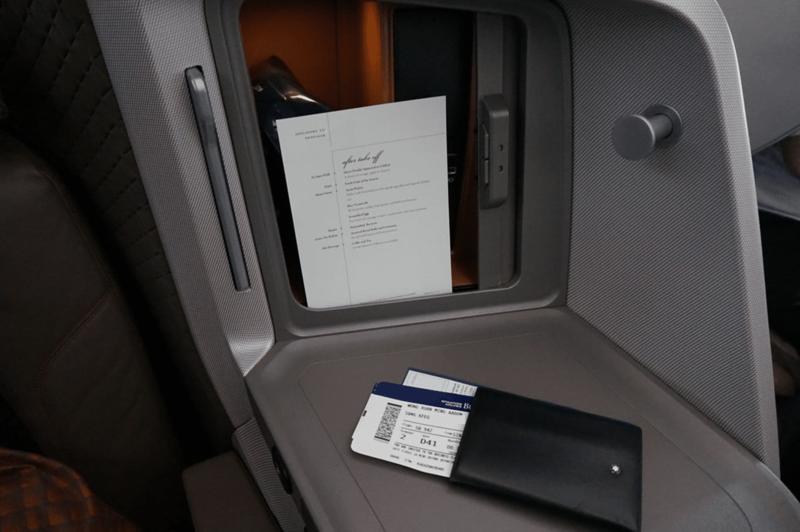 The 2018 regional business class seat uses a 3 point seatbelt, similar to what you’d find in a car. 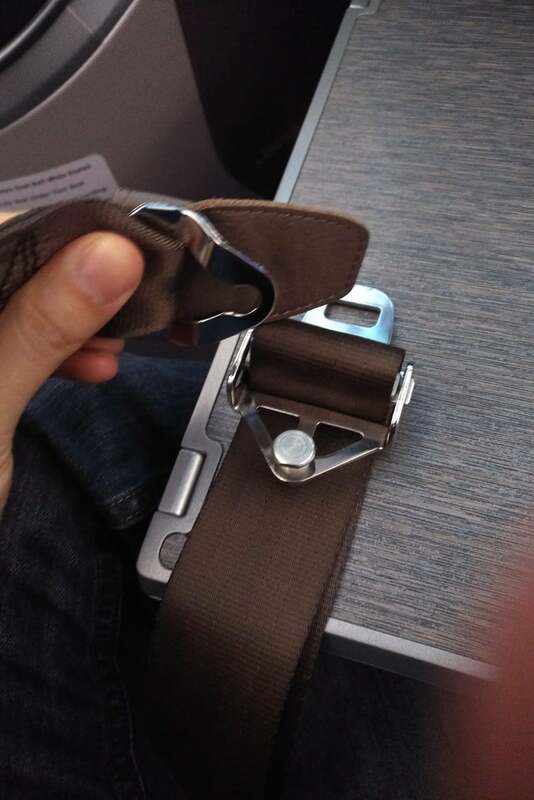 It’s a very different feeling from your regular 2 point seatbelt, and if you don’t like it you can always convert it from a 3 point to a 2 point after takeoff by unfastening the shoulder strap. 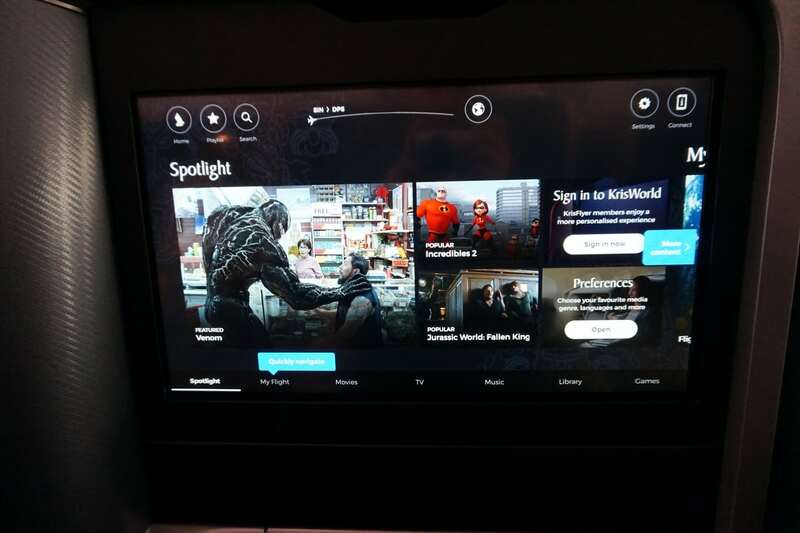 As the plane took off, I pawed through the massive selection of entertainment on KrisWorld, which was more than sufficient for a sub 3 hour flight. Some recent additions include Venom, Incredibles 2 and Jurassic World Fallen Kingdom. 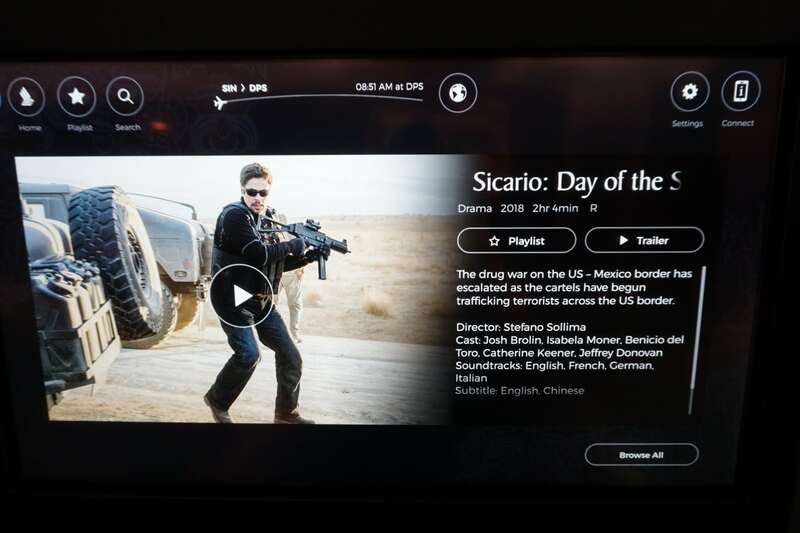 I was happy to find Sicario: Day of the Soldado, a movie I’ve been meaning to watch because Josh Brolin can make cartel problems disappear with a snap of his fingers. Given SQ’s relatively complicated service routines, there isn’t any time to waste on a short flight with meal service. As soon as the seatbelt sign went off, they sprung into action, and within minutes meals were coming out of the galley. You can’t have your first business class experience and not Book the Cook, and I insisted the Milelioness try the lobster thermidor. Despite what everyone says, I personally don’t think it’s all that great, but I suppose it’s like a rite of passage. The Milelioness astutely picked up that cheese was a way to hide shellfish meat that wasn’t quite fresh, and declared the dish to be “just alright”. 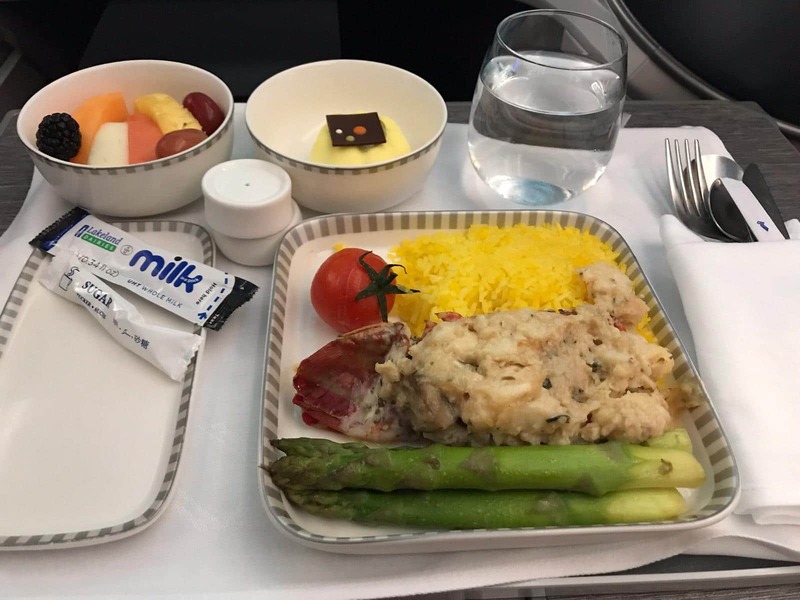 It’s always puzzled me why SQ chooses to serve this dish with saffron rice instead of a more western accompaniment like potatoes, and why they use the thick asparagus that’s more fibrous and makes your pee smell funny. I went with an old favourite that never disappoints- Cod fish Thai style. A fatty fish like cod holds up great in the air, and the sauce they cook it in captures the sweet spicy tangy flavours of Thai food. 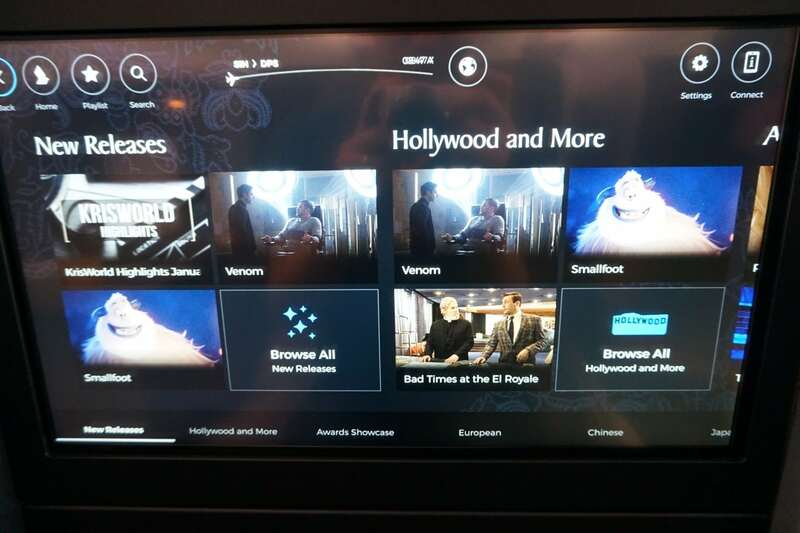 I had promised to keep the in-laws updated about our trip, which meant needing in-flight connectivity. 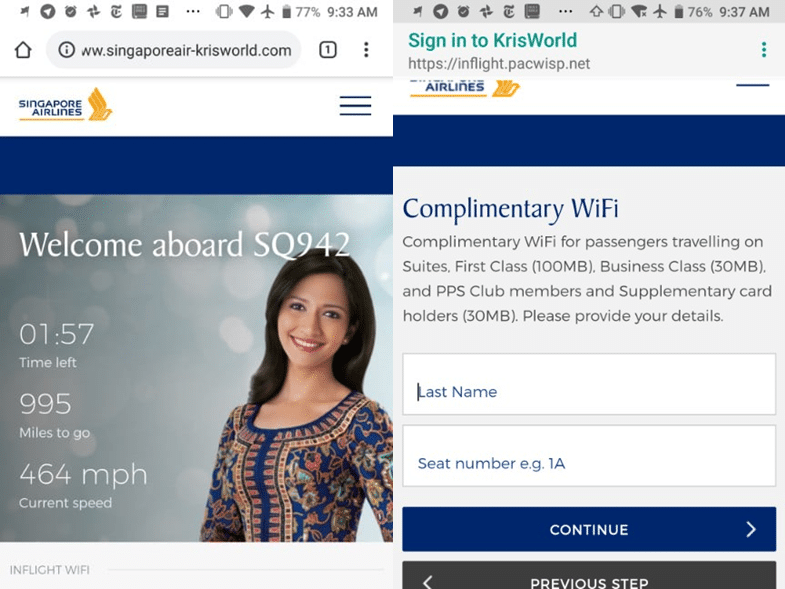 The good news is that First and Business Class passengers enjoy 100MB and 30MB of free Wi-Fi respectively, which was more than sufficient for basic WhatsApp. The flight flew by really quickly, but there was just enough time to pop into the loo before landing. 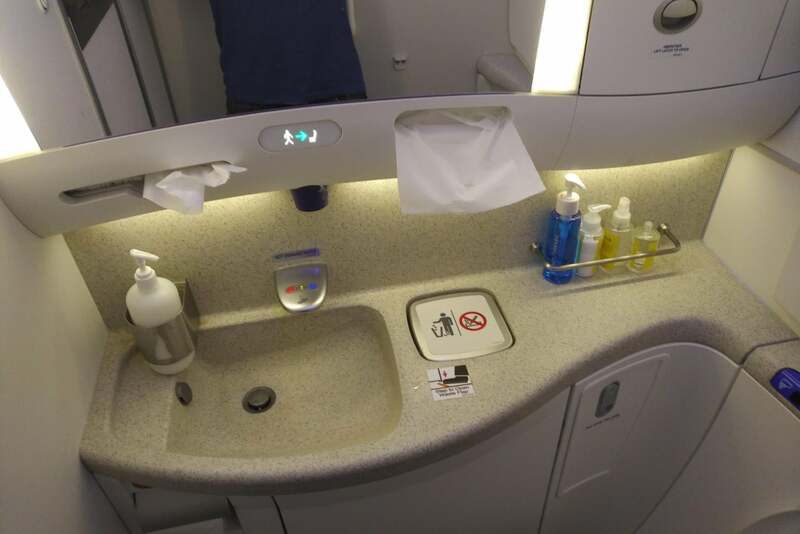 One area where it’d be nice to see a bit more innovation from SQ is the bathrooms (I do love the ones in Suites on the new A380s), because they’ve really not done anything with those on the B787-10s. 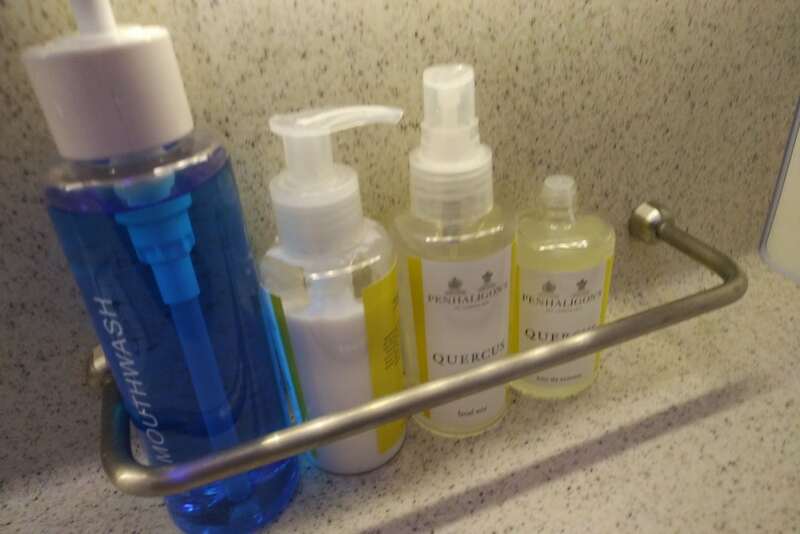 The nicest feature was the Penhaligon’s toiletries, which have replaced the old Miller Harris amenities. 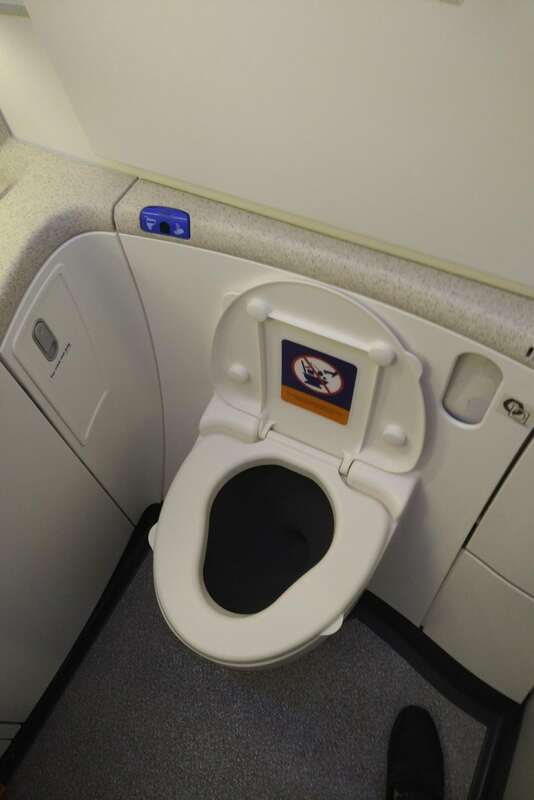 The loos in the B787-10, mercifully, feature contactless flushing. There’s no bidet, but you don’t really see anyone but Japanese airlines do that. As this was a short flight, I didn’t even have time for a nap and can’t comment on the bed quality. 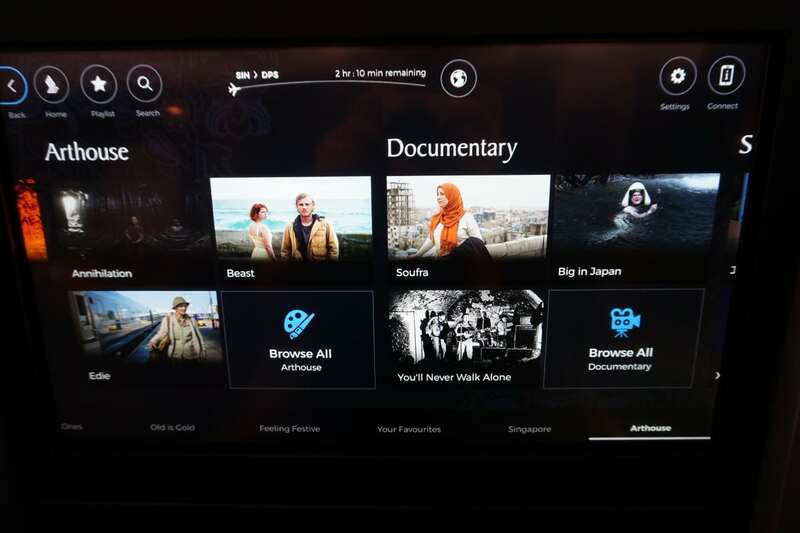 That’s something I look forward to reviewing on a longer flight in the future, perhaps on a route to Japan or South Korea. 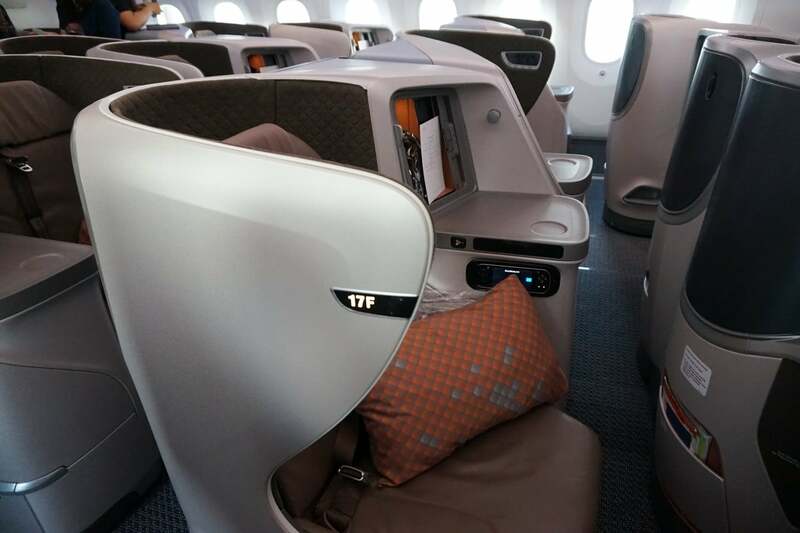 I will say that based on first impressions, there’s no reason why this seat shouldn’t give a sleep experience as good, if not better, than other full flat Singapore Airlines products. The bed measures 76 inches (1.9m) from head to toe, and the material they use for the seat provides a good amount of noise reduction. 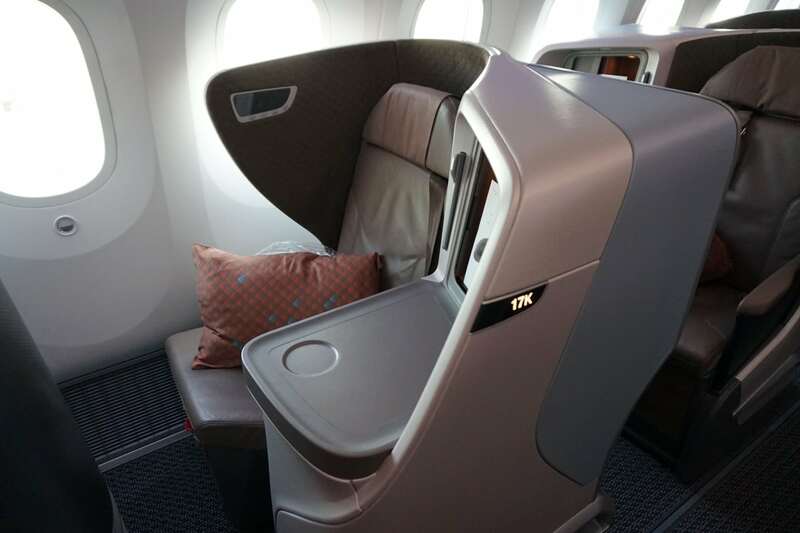 A regional business class flight may not be the best introduction to the world of miles and points, but it’s still a chance to try SQ’s latest cabin product and get the business class ground experience. I have very few complaints about the new regional business class, although the narrow seat will be a problem for some people. It’s clearly overkill for a sub 3 hour flight to Bali, but isn’t SQ all about being over-the-top good? 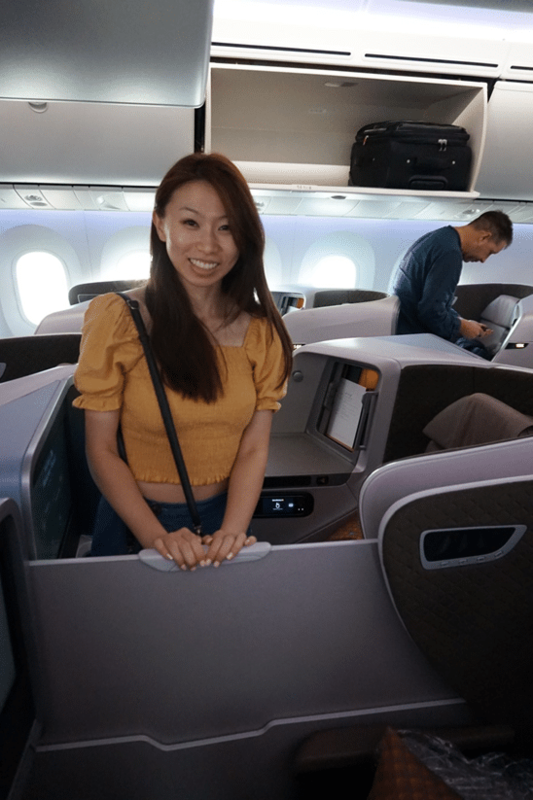 All in all, the 2018 regional business class seat is a solid addition to the fleet, and one looks forward to the day where every widebody aircraft operated by SQ will have full flat seats in business class. P.S: What did the Milelioness think of her first business class experience overall? She loved the novelty and the unprecedented amount of personal space and privacy. She wasn’t completely sold on the lounge experience, but that’s something to fix with the upcoming CX First Class flight. 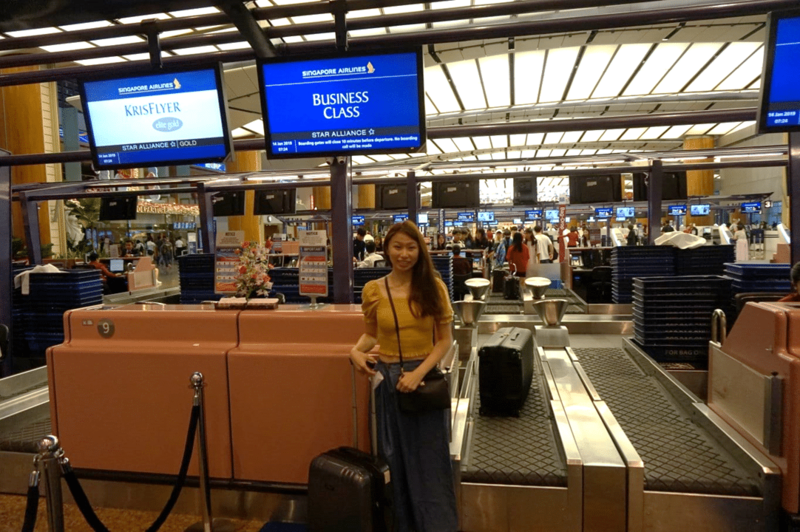 It made flying her back to Singapore on Scoot that much more difficult. The Milelioness is very lucky! I wish my hubby can contribute some of the trip planning . Enjoy your Mileymoon! Looking forward to more updates. 🤔 Hmmm… what are we talking about here..? Aaron founded The Milelion with the intention of helping people travel better for less and impressing chiobu. He was 50% successful. I’m always excited when someone experiences business class for the first time! Hope she had a fun ride 🙂 I spoilt my wife with a first class exp the first time so business class was pretty ‘meh’ after that so you definitely did it the right way round! Glad to see you mentioning about the 3 point vs 2 point seat belt. I hated the padding of the seat belt with a vengeance and thought I was the only one. Congratulations on the wedding! Another great review, although I don’t fully understand the hate aimed specifically at the T2 Silverkris lounge. Don’t get me wrong, I agree it’s nothing great, however I personally prefer it over the T3 lounge (which is equally mediocre but much more crowded, especially before the Europe-bound flights rush hour, i.e. 10pm-12am). If you were at the airport early enough, wouldn’t there be sufficient time to visit the T3 SilverKris lounge? Or was the marginally better experience not worth it for the trek? Such a happiness journey start! 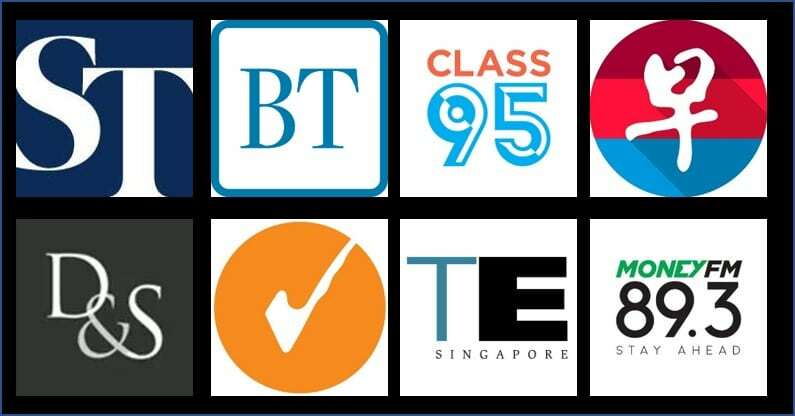 cannot wait to read the following stories! Always enjoy reading your review as usual. Bidet is on Oman Air too. 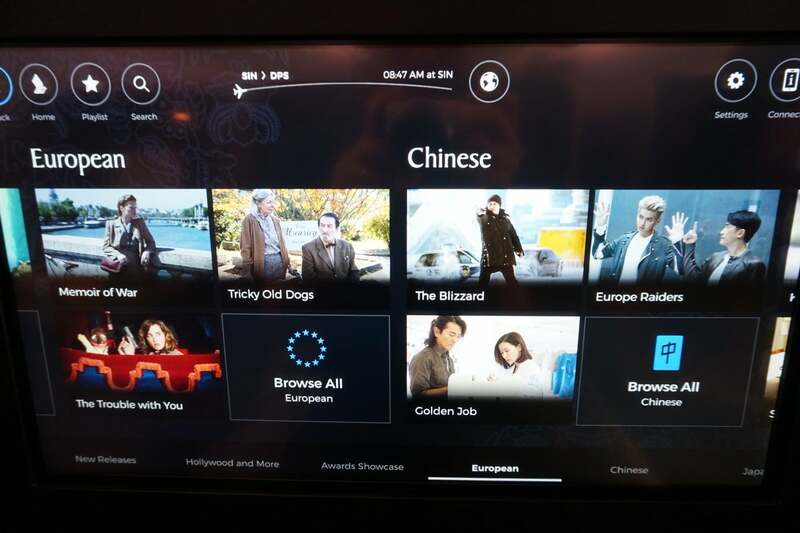 The single sheet menu has been in place since at least early June 2018, and I’ve seen it on flights up to 3.5 hours (HAN). HKG still has the full menu. 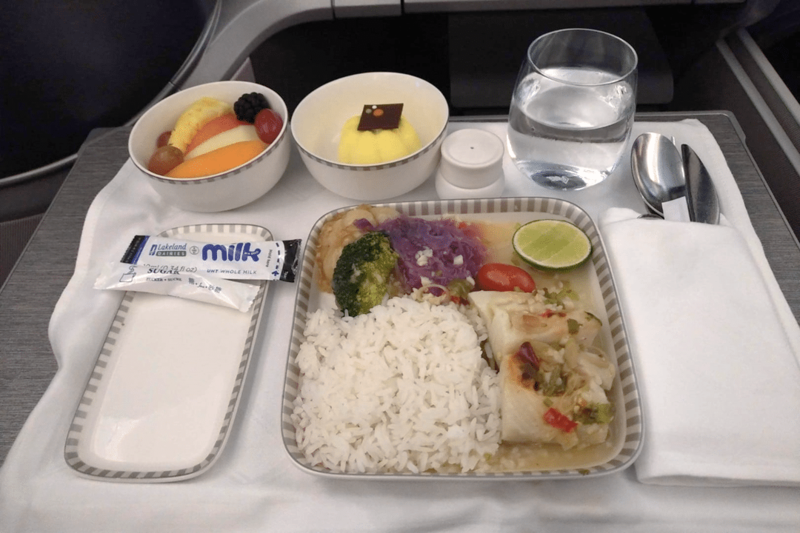 Although very peculiarly, I was on a flight to BKK last week that still had the full menu, but I think this was a one-off as most of my recent BKK flights had just the single sheet. I believe Changi practices what they call “flexi departure” to depart T2/T3 flights out of T1 gates so as to reduce remote flights. 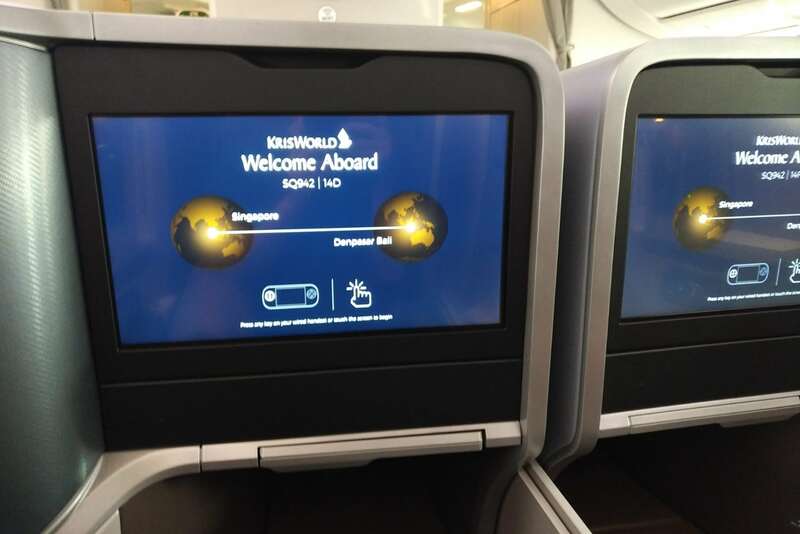 On another note, although the A350 Regionals have the same seat, SQ has a new IFE installed. 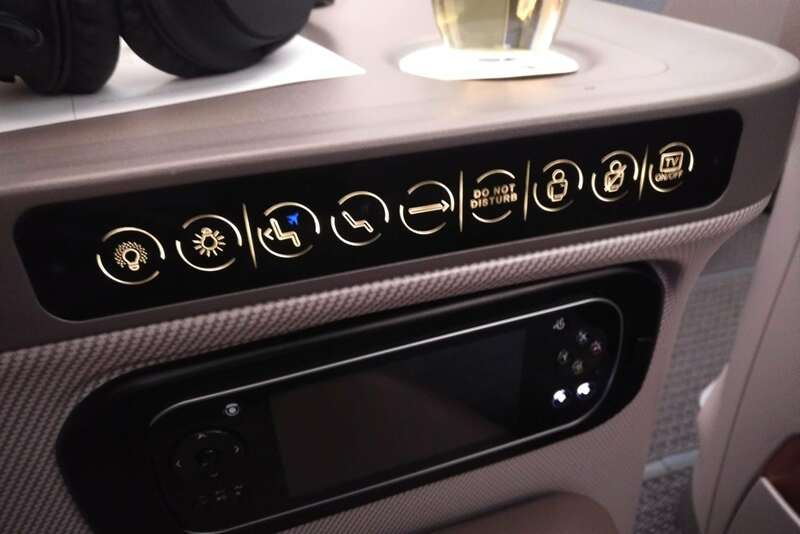 The UI is very similar to the one on the 787 and 2013/2017J seats – touch screen, black-ish background, similar font and overall design, but the layout is slightly different. The main difference is the console or remote (however you call it). It’s designed like a smartphone, no buttons if I recall correctly, and you’re supposed to use it like a mouse or trackpad. Wasn’t easy to use so I gave up. The Wing cabanas will blow the milelioness away. Just came back from a CX first experience for my honeymoon where we flew SQ outbound on the suites and CX F inbound from JFK no less. The Flagship First dining at JFK blows the Private Room off the water while I find CX F lounges in HKG leagues ahead of whatever SQ offers. Cathay really knows how to pamper their most premium passengers. Flagship first dining is pouring Krug. My CX F flight was pouring Piper Rare Millesime 2002. Enjoy your honeymoon. Dude – kinda punching if you know what I mean! Fair play to you congrats! Congrats! This post brings back sweet memories of uncle’s honeymoon years ago. Also did the Hyatt and flew out next morning to HND on a F redemption.